115km cycling event starting from Shere Village Hall, Guildford. Controls at OCKLEY, SHEEPLEAS CAR PARK, EWHURST, ST MARTHA'S HILL CAR PARK, FARLEY HEATH and CRANLEIGH, plus 2 information controls. Enjoy riding many of the Surrey Hills' best roads, including some used by the 2012 Olympic road race route. This very popular ride is also well known for its excellent catering. Despite its proximity to London, this is one of the most challenging and scenically stunning events in the country. Lovely forested climbs and exciting descents, many on centuries-old sunken lanes typical of the area, make this ride very special. Nutritionally balanced food is available at the start, mid-point and at the finish. Riders start from Shere Village Hall (GU5 9HB) from 09.40 in groups spaced five minutes apart to avoid congestion. 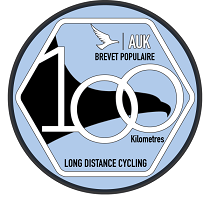 This is a Brevet des Grimpeurs du Sud qualifying event. Enter soon as entries may close early if event is full.